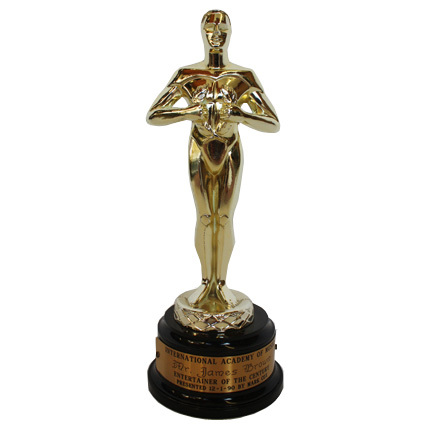 This gold colored cast metal statuette was given to legendary entertainer James Brown by the International Academy of Music on December 1st, 1990 for his outstanding achievements and contributions to the world of popular music. 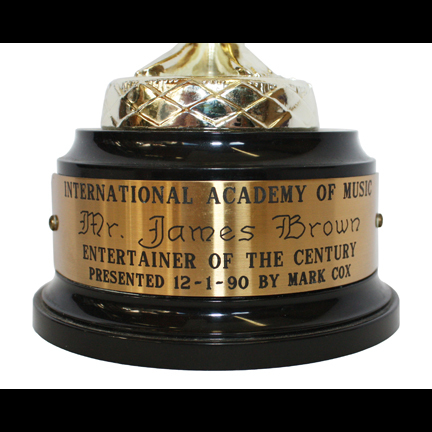 The statuette is an Oscar like depiction of a standing male figure clutching a wreath to his chest and is mounted on a circular black plastic pedestal with a brass plaque that reads “International Academy of Music, Mr. James Brown, Entertainer of the Century Award, Presented 12/1/90 by Mark Cox”. 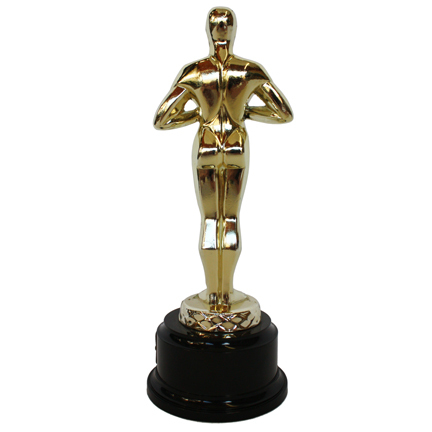 The award is approximately 10 ½ inches tall and is in excellent condition. This item came directly from the late Mr. Brown’s estate and is accompanied by a letter of authenticity.